For many decades the stock markets were considered themother-of-all efficient markets. All investors behave rational, allinformation is available at the same time to all marketparticipants, and if that was not true, Arbitrage would forceefficiency and rationality on prices and the market. However,recent history, such as the burst of the dotcom bubble or thesub-prime crisis, painfully taught us that this is not true. 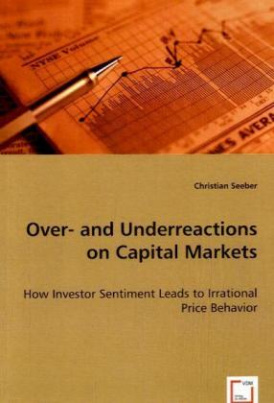 Thefocus of this book is on why markets are not so efficient after alland why prices over- and underreact. Investors are not actingrational, they underlie many diverse biases such as overconfidencewhen making decisions under uncertainty. After challenging theEfficient Markets Hypothesis the author explores various reasonswhich lead to over- and underreactions in prices. Then he discussesdifferent pricing models which aim to account for investorsentiment and irrationality. Based on this investment opportunitiesand strategies for managers resulting from irrational pricing areexamined. Investors, persons working in corporate finance orinvestor relations, and any other market participant will find thisbook interesting.